Custom Printed Permanent Adhesive Vinyl Stickers / Labels on a Roll. The quantity of stickers per roll depends on the size and quantity ordered, but can also be requested in increments of 100. We provide FREE CUSTOM ARTWORK DESIGN for your orders! Don’t waste your time with stock art and the clumsy self-design programs on other sites. 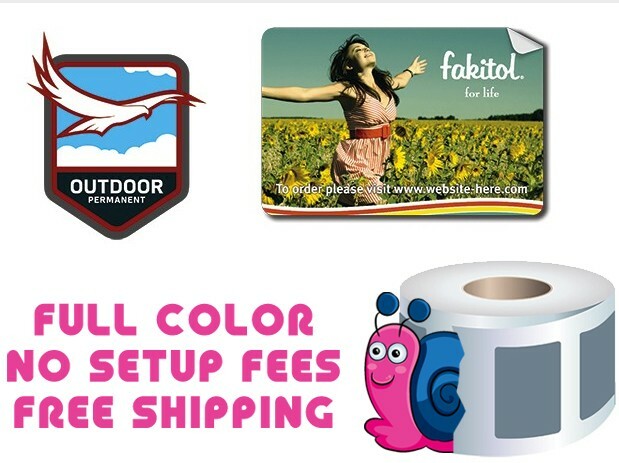 Instead have a unique sticker custom designed to your exact specifications by our graphic artist…it’s FREE! No upfront/down payment needed to get started! Only when you approve the design and want us to actually produce your sticker or magnets, will we ask for payment.